Uses GoPro VR Player instead of RICOH mobile applications to create tiny planet videos. 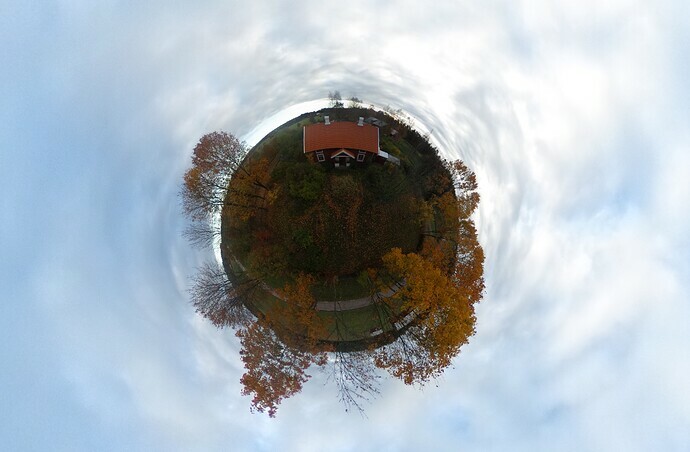 If you want to create tiny planet videos on your mobile device, you can use RICOH mobile applications for Android and iOS. To get the screen capture, I’m using Open Broadcaster Software. There several tools that RICOH makes available. 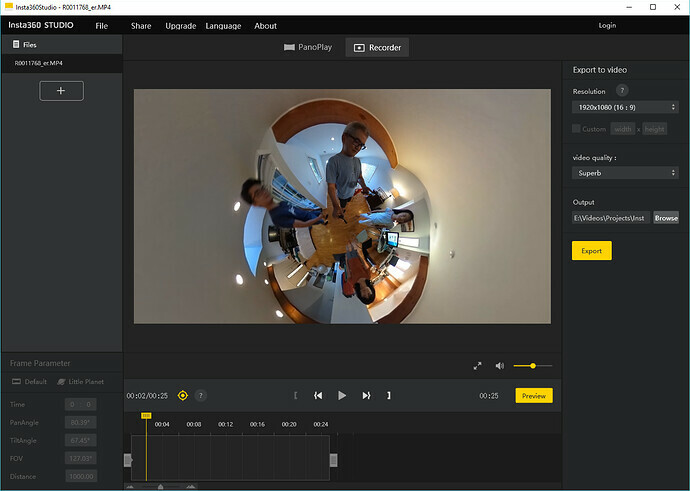 The one you need to create tiny planet videos is the THETA+ Video app. 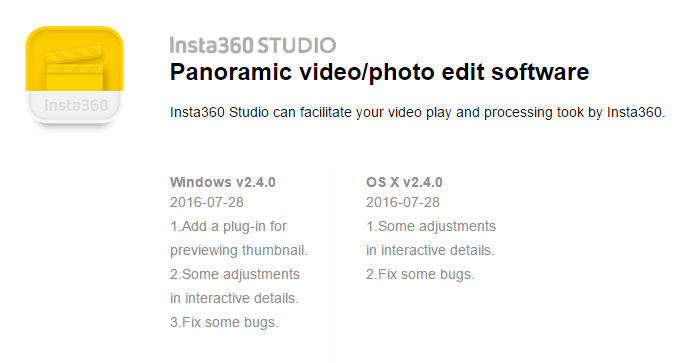 Note that there is a plus sign and the word video in the application name. NOTE: if my son is reading this, I can’t get it to work reliably on your Moto G. Maybe the next version will be more stable. 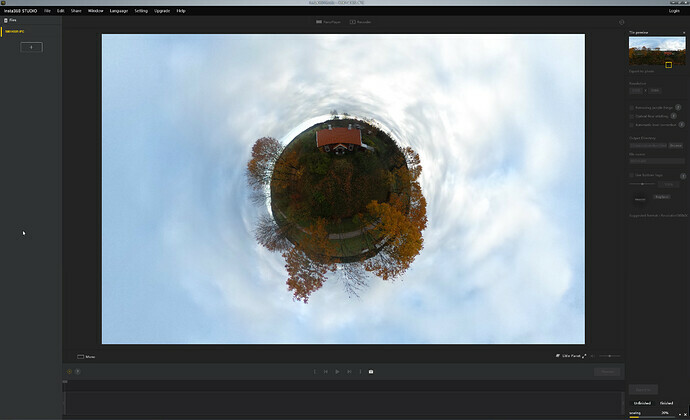 This is the main reason I looked into editing the tiny planet videos on the desktop. 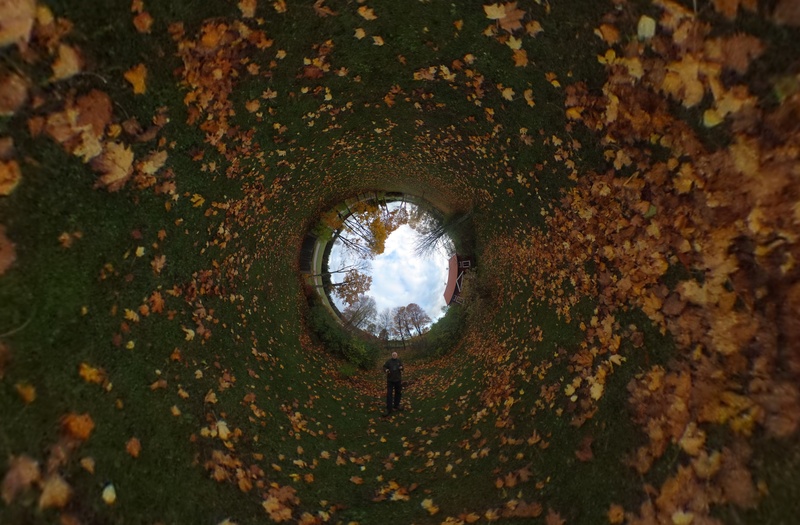 if you have a 4 or 5K screen it is possible to make a 4K Theta Video :! : and the quality stands because the THETA lenses are very sharp in the middle. We did test the insta360 Studio to day, but i think you cannot make a full size Stereograpic HD little planet and not a 4K either. Krpano has a little planet function right click the Panorama and play with it from little planet view start autorotation and see the smooth motion. you can change the output to custom and make 4096 by 4096, and by adding Frame parameters output as Little Planet. n.b. sure you know but Little planets are ‘stereographic projection’ but are not stereographic in terms of ‘3d’ - although it’d be interesting is someone could do that :). Nice sample shots. The details in the leaves and clouds of the third one posted here are really great. Also, I like the artistic portions of the image, including the house being central and the tiny planet being ringed with tress on the bottom two-thirds. Nice. This is mostly a discussion of little planet video though, not stills. I’m a big fan of hugin for high res stitching myself… it’s been ages since it’s stitched from DSLR. Great shots! I think I see the photographer’s head among the leaves, yes!